This is a QL-SDHC interface which works with the original Sinclair QL Home Computer, allowing you to load and save programs and data to an SDHC card - providing much quicker (and more reliable access) than microdrive units, without the need for a floppy disk interface. The interface fits internally inside the QL - so you will need to open up your QL, and remove the two ROM chips (which are both socketed on the QL) and the second microdrive unit (mdv2_) in case you want to access the SDHC Card. Otherwise you can fix it internaly without the possibillity to replace the SDHC card. Care must be taken when fitting the interface as you can harm your QL by doing so. The device comes with internal Interface (which plugs into one of the two QL ROM sockets) and the SD-HC Card PCB which replaces one internal microdrive. There is a cable which connects the two boards, and an EPROM is included already fitted to the internal Interface, which contains Minerva v1.98 (or on request JS if you are located in europe) and the SDcard driver, ToolkitII is on SDHC. A preformatted SD-HC card is also supplied which contains a boot file and a little software to run on your QL. Expanded memory is highly recommended, although please note that the QL-SD is NOT COMPATIBLE with neither the Miracle Systems Goldcard nor SuperGoldCard. You cannot connect any device to the QL external ROM port while using QL-SD. THIS NEW VERSION PROVIDES A JUMPER TO DISABLE THE SD PART AND FREE THE ROMPORT FOR OTHER USE. You will need to attach your own wire and switch for easy access of this function. You can backup the SDHC card using any computer capable of working with FAT32 formatted SDHC cards like Windows, Mac OSX or Linux. This Interface is manually manufactured by a hobby QL enthusiast. It has been tested on several QL Hardware. This is a private auction and no warranty can be given. 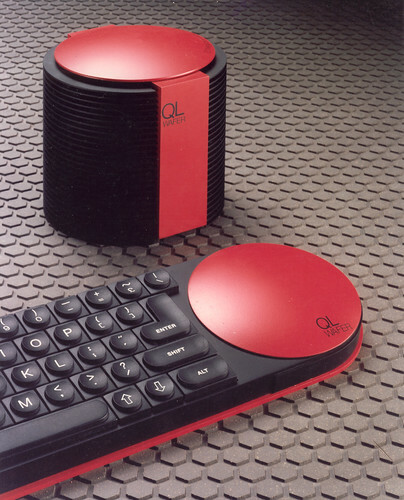 Official Support will only be available via the German QL Forum community in german or english.